NTS has years of experience performing compatibility and functionality testing specifically on wireless products. Testing covers all the latest and greatest protocols and technologies, including Wi-Fi, ZigBee, Bluetooth, and even cellular technologies (e.g., 4G LTE, CDMA, GSM, etc.). The NTS wireless interoperability test suite has the ability to test your product across most of the wireless chipsets in the market today. 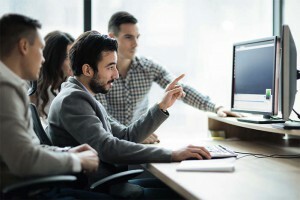 NTS will also test your device across a wide array of access points (AP’s), chipsets, notebooks, desktops, operating systems, service packs and device system specs. NTS can also perform testing on your wireless router. A wide variety of wireless routers (for both home and business) are available on the market and require testing to verify that they can function with a wide variety of access points and other routers. RF Testing – These tests are designed to verify a device-under-test’s performance under various spectrum conditions. Tests can be executed as a single suite or individually. Flat Channel – These tests evaluate the ability of the device-under-test to function under controlled interference conditions. The transceiver is typically connected by means of a coaxial connection directly into the measurement layout. Several noise patterns are introduced with various settings and the functional response of the device-under-test is observed by measuring data transmission characteristics, such as throughput, latency, etc. MultiPath – These tests focus on the response of the device-under-test to marginal multipath conditions such as spreading delay, Rayleigh fading, etc. Results produced by executing this test allow for accurate product performance predictions in the “real” world. 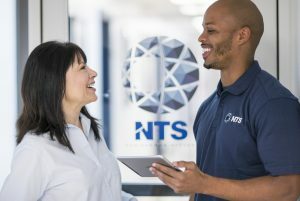 Custom Specification – NTS also has the capabilities to develop and execute test suites to test devices for proprietary manufacturer specifications. The Physical Layer Laboratory at NTS’s facility has extensive experience in physical layer analysis for most communication technologies available today. Thus, customized RF parametric suites are available in order to facilitate successful and timely product release. Wireless Performance Field Testing – This test suite addresses throughput vs. distance under multiple conditions. In order to measure performance, NTS has developed three (3) typical “real-world” test environments in which we measure performance: 1) Commercial Business environment, line of sight; 2) Indoor Office environment, non-line of sight, and 3) Open Field environment, line of sight testing. Each test environment is selected to measure particular commonly encountered wireless situations. 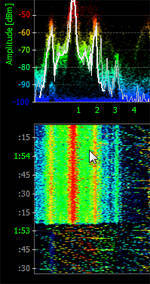 For more information, see the NTS Wireless Performance suite. For more information on getting your wireless product tested, contact an NTS Account Manager today.